At the northernmost point in Pinellas County, Tarpon Springs seems a world unto itself. A mix of inland and coastal properties blend with a wonderful selection of restaurants serving traditional Greek cuisine and fresh seafood. Area museums showcase the community’s deep history and its famed sponge docks. Homes and buildings dating back to early to mid-1900 are sprinkled throughout. Real estate overlooking the Gulf and the many bayous are available, as well as inland and lakefront properties. 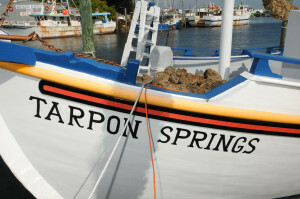 The Greektown Historic District of Tarpon Springs is a robust tourist attraction. The beaches are cherished by residents and visitors alike. Four islands off the coast comprise Anclote Key Preserve State Park: Anclote Key, North Anclote Bar, South Anclote Bar and Three Rooker Island. Anclote Key features an historic lighthouse that began operation in 1887, and was restored in the early 1990’s. The park boasts bird nesting colonies and exquisite beaches.